9 yards with running blouse piece. 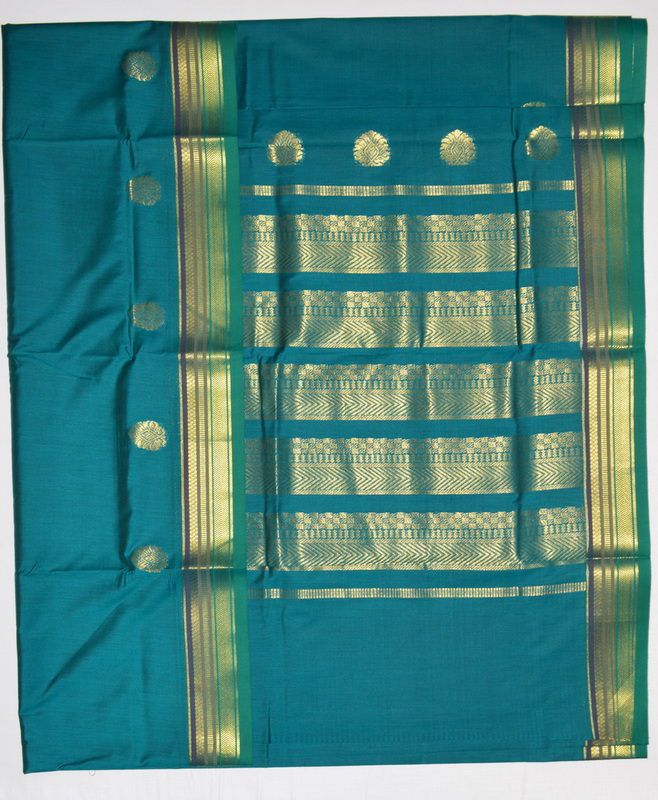 Traditional 9 yards art silk saree in teal blue with zari border on both sides. It features a line of decorative buttis above the bottom border. 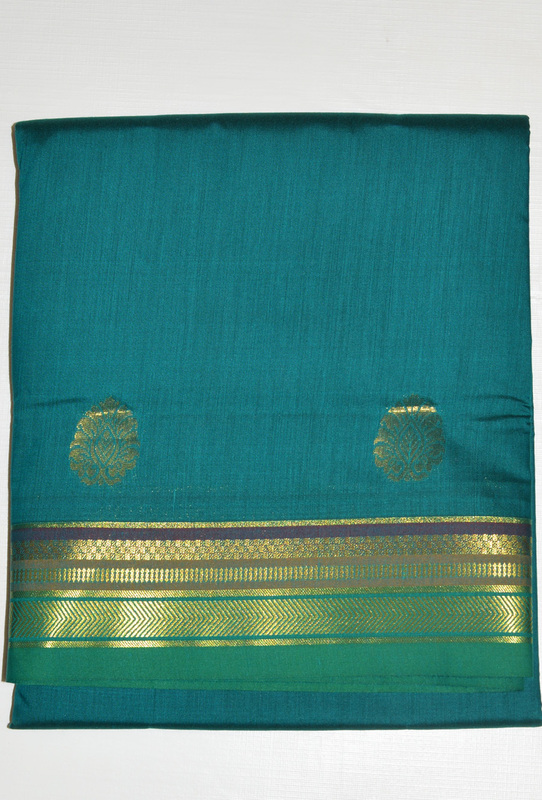 Ideal for temple visits or traditional ceremonies.